Held in Kansas City as part of the All-Star Game festivities, the 2012 Home Run Derby featured an appearance by the Kansas City King himself. Not in the flesh however, but over the speakers. During Prince Fielder’s turn to hit the balls into the fountains at Kaufman Stadium, Tech N9ne’s “I’m A Playa” from the album Absolute Power was played as well as an instrumental for “Like Yeah” from Killer. 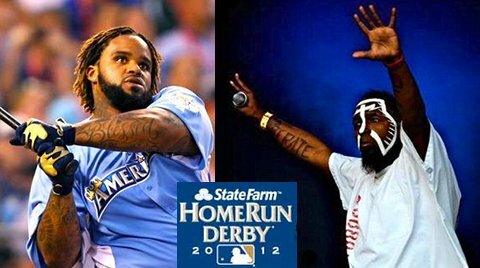 The music must have gotten his mind right, for Prince Fielder would go on to win the 2012 Home Run Derby. Like Tech says, it goes up! Props to the forum users at therealtechn9ne.com for pointing this out! If you could walk out to any Tech N9ne song, what would it be? Why?